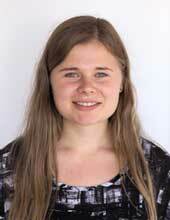 Linnea Hesslow works on theoretical plasma physics. Her research project focuses on developing models to describe fast electrons in fusion reactors. Ultimately, these models could take us one step closer to future fusion energy, which is an attractive potential energy source in many ways. There might be more projects where Linnea Hesslow participates, but you have to be logged in as a Chalmers employee to see them.